The first of two Island 7.5m RIBs recently delivered to the Rothera research station in Antractica has launched! This photo of ‘Quest’ was taken just a few minutes after she hit the water for the first time. We are looking forward to following ‘Quest’ and ‘Falcon’ as they support the work of the British Antarctic Survey. Both boats will be used for diving, SAR, equipment transport and scientific research. 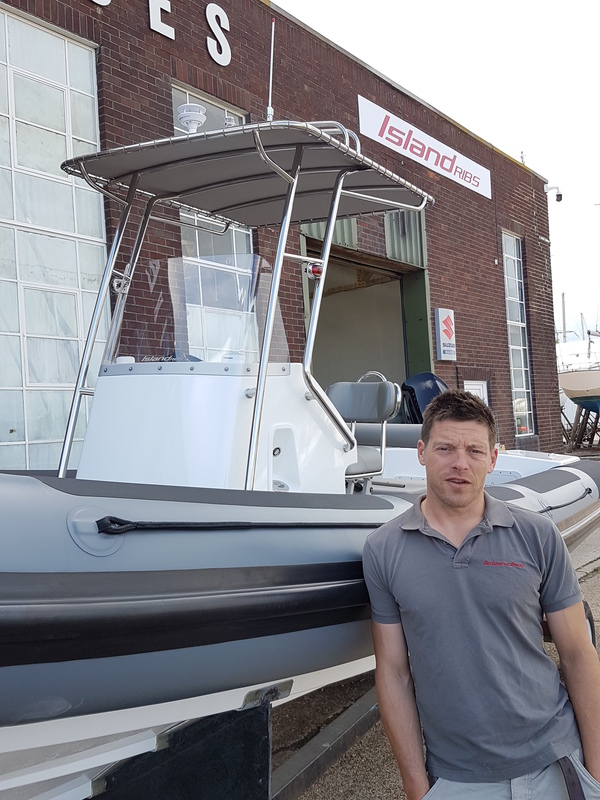 Island RIBs will be exhibiting at the Southampton Boat Show at Mayflower Park in Southampton from the 14th to the 23rd of September 2018. We will be in the marina on berth M622. If you are at the show please pay us a visit to take a close-up look at our Island 7.5m. 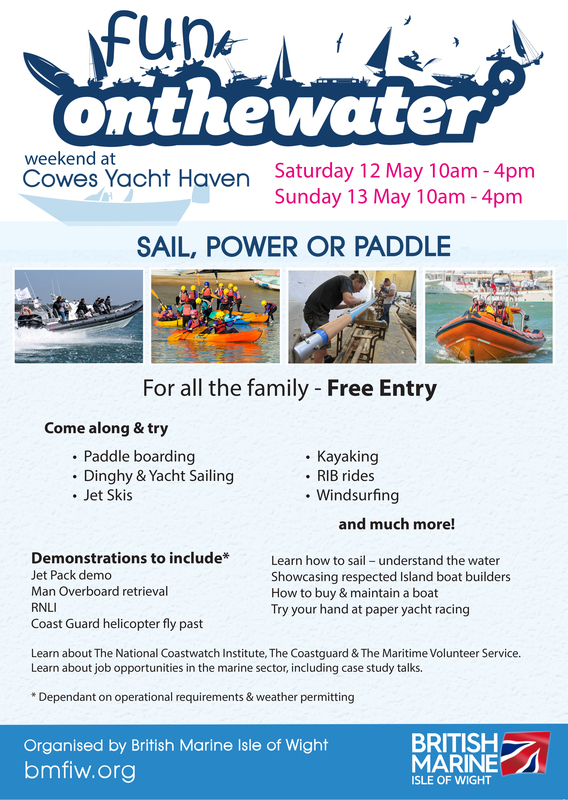 If you would like to arrange a sea trial in advance of the show please get in touch. We look forward to seeing you there. Island RIBs have been commissioned to build two 7.5m RIBs, capable of withstanding the harsh environment of the Antarctic. The boats, which will be deployed by the British Antarctic Survey (BAS), demonstrate high levels of sea keeping ability, stability and flexibility of design. The team from BAS, with collectively over 100 years of professional RIB handling experience, including 25 years working on small boats in polar waters, will operate the two new craft out of Rothera Research Station, the UK’s Antarctic Hub, located on the Antarctic Peninsula. The research craft’s primary roles are to support the BAS world-class marine science and operate as a search and rescue vessel for the research station. The two Island RIBs boats will be used to transfer scientists, engineers and their equipment to and from the remote island sites in safety, battling the unpredictable, freezing conditions. They will be used as a platform for research divers, as well as to deploy and recover sampling equipment and autonomous underwater vehicles. The base platforms are designed to be interchangeable, so either of the boats can be deployed as a search and rescue craft or a dive vessel for the teams that work from the Rothera station. This flexible design has a series of deck fittings installed that allows all seats, dive suites and stowage boxes to be changed or removed entirely. 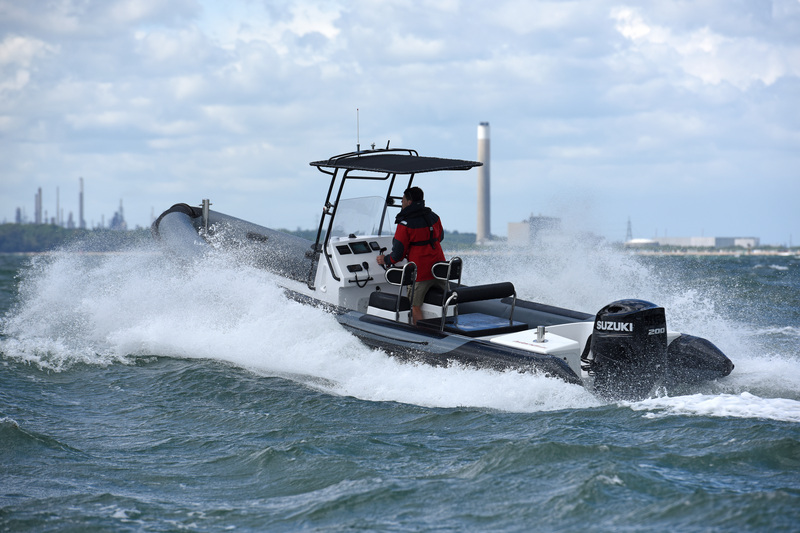 The RIBs are also fitted with custom Mercury engines from Barrus and enhanced tubes from Venture Marine Ltd.
“This contract is a fantastic opportunity for us. The boats selected by BAS are our standard production boats, with some minor modifications to protect the tubes against ice damage. This is testament that our design works due to the attention to detail that has gone into developing it. The Rothera Research Station, first opened in 1975, is located at the southern tip of the Wormald Ice Piedmont, just to the west of the Antarctic Peninsula, on Adelaide Island. The personnel at the research station fluctuates from over 100 in the summer to a lean 22 during the winter months ensuring the research hub continues to support the deep-field and air operations throughout the year. During the summer months, teams from the British Antarctic Survey, UK universities and international collaborations use the state-of-the-art Bonner Laboratory and dive facility to study marine and terrestrial biology. One example of research the Island RIBs boats will assist in is the Rothera Time Series (RaTS), which is a long-term study in its 21st year measuring the temperature, salinity, micronutrients and Chlorophyll levels at a specific site on the Antarctic Peninsula that is suffering from a rapid rate of climate change. This increase in temperature and ice loss is measured and the impact on marine productivity is assessed to improve the current predictive models of global warming. Without reliable equipment for these scientists to use, this vital research would be hampered. Island RIBs are proud to be supporting the British Antarctic Survey team, along with many other UK and international scientific research institutes in their endeavours to conduct long term studies of rapid environmental warming, to predict future changes and its impact on the marine ecosystem. The boats will be exhibited on the Barrus stand at the Seawork – Commercial Marine & Workboat Exhibition and Conference, Southampton, 3-5th July 2018, on stand VA012. Island RIBs will be exhibiting at the British Marine Isle of Wight “On the Water” event at Cowes Yacht Haven on the 12th and 13th of May. If you are attending the event, be sure to come and have a look at our RIBs and talk to us about our latest developments. Our Managing Director Alex Cottle was recently interviewed for an article in Powerboat and RIB Magazine. Read the full story here here to find out more about our business and what we do differently. 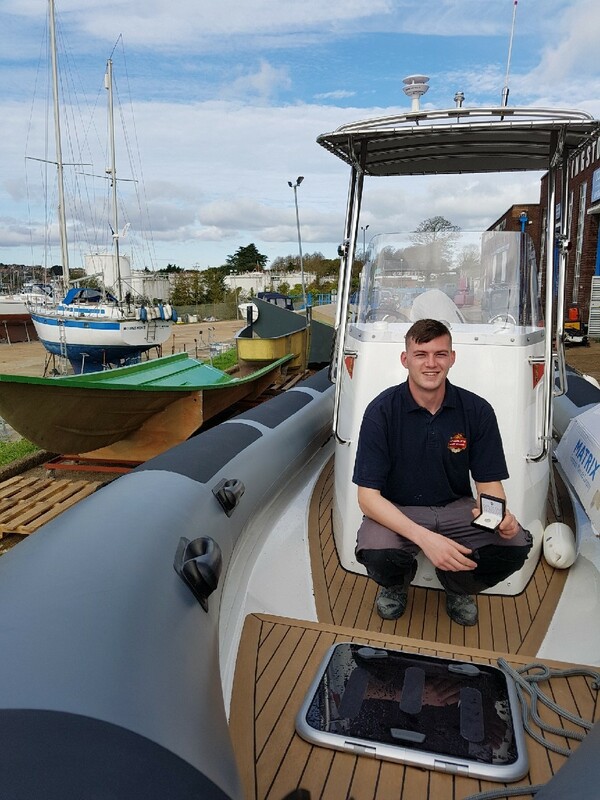 In May we announced that Island RIBs third year apprentice Lewis was to be appointed as a Lloyds Register Foundation 100A1 Ambassador. On 24th October, Lewis was invited to London for the inaugural Ambassadors dinner, held at the head offices of the Foundation. Coungratulations Lewis! We are looking forward to supporting you in your role promoting the great work of the Foundaiton. Island RIBs is pleased to announce the signing of a distribution agreement with St Malo based Nautilots Sarl. The first RIB sold under the agreement, an Island 7.5m powered by Suzuki DF250, was handed over to Nautilots representatives at the Yachtmarket.com Southampton Boat Show 2017. The RIB made short work of the voyage back to France, arriving in Cherbourg 3 hours 30 minutes after departing from the Boat Show. This photo was taken as they passed The Needles. Island RIBs will be exhibiting at the Southampton Boat Show 2017 at Mayflower Park, Southamton from the 15th to the 24th September. You can find us in the marina on berth M640. We hope to see you there! 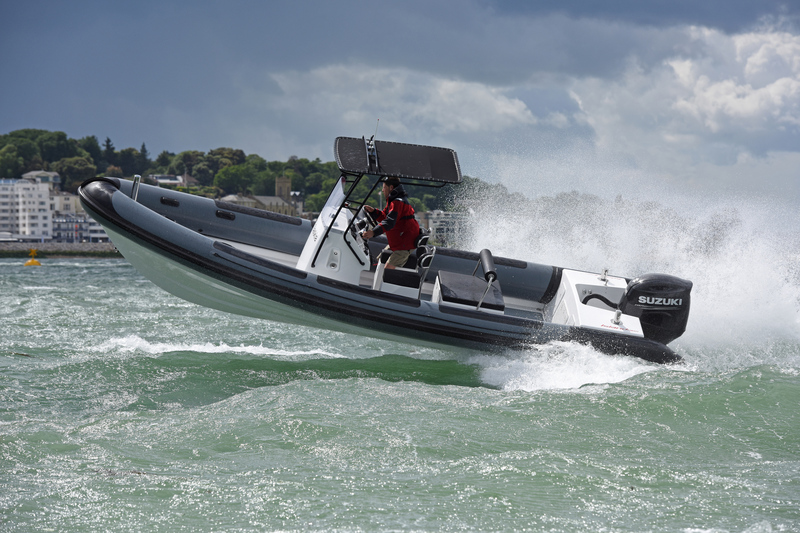 Island RIBs will be exhibiting at Seawork 2017 from the 13th to the 15th June at Mayflower Park, Southampton. You can find us on the water in the Suzuki area. Entry to the show is free so please come along and see our latest developments. Click here to register on the Seawork website. Copyright © 2019 - Island RIBs | Registered Company No. 09032208.